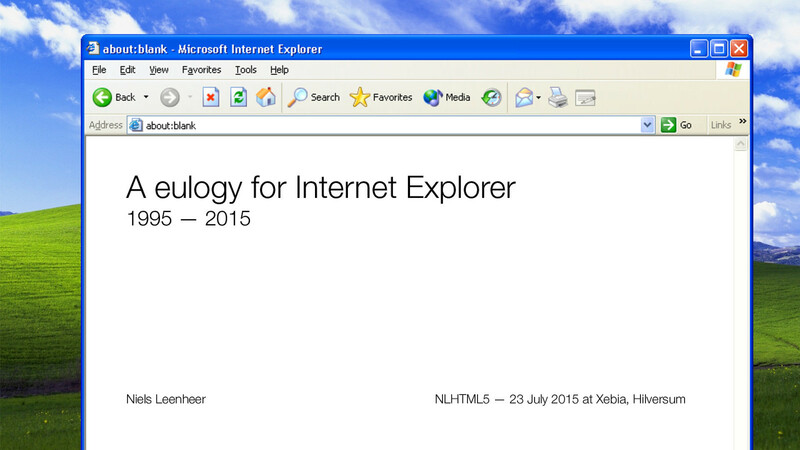 View A eulogy for Internet Explorer on Notist. Windows 10 has been released. For the first time since Windows 95, Internet Explorer will no longer be the default browser in Windows. That place has been taken by Microsoft Edge. So now would be a good time to say goodbye. A eulogy, if you will.